We’ve loved reading Julia Donaldson since J was a little baby. And we have enjoyed watching stage adaptations of her fabulous books. What The Ladybird Heard Live is no exception. 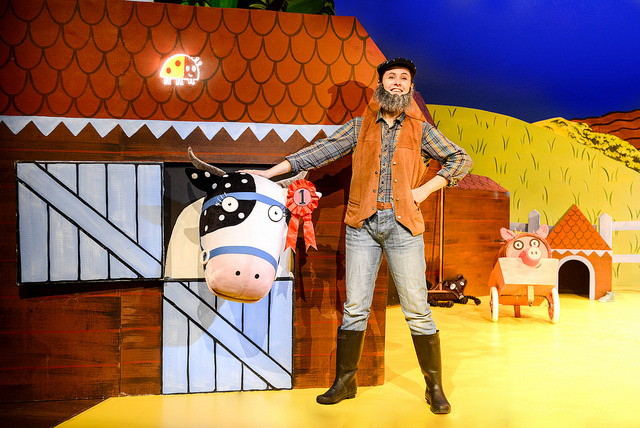 Based on the best-selling picture book by Julia Donaldson and Lydia Monks, we enjoyed watching the stage production by Kenny Wax Family Entertainment in association with Matthew Gregory. 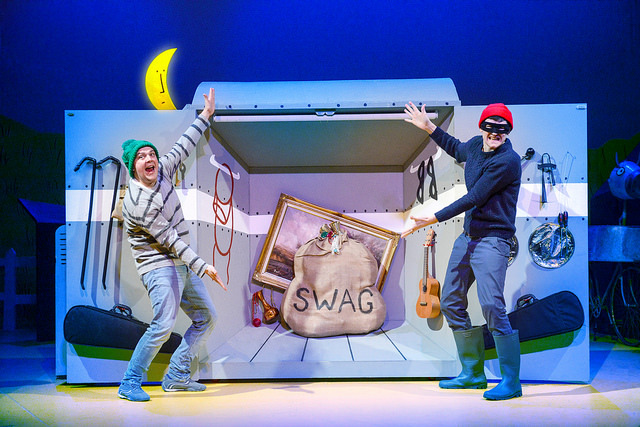 Hefty Hugh and Lanky Len are two robbers with a cunning plan. They want to steal the farmer’s fine prize cow. But they reckon without the tiniest, quietest creature of all. For the Ladybird has a plan of her own! 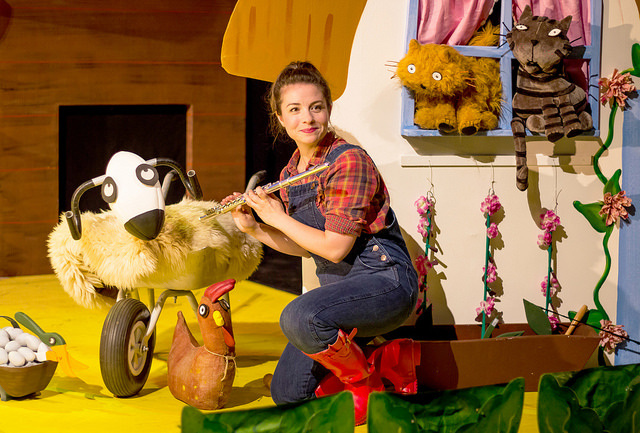 She enlists the help of a range of farmyard animals - the woolly sheep, the hairy hog, the fat red hen, the dainty dog and a pair of talking cats as they take on and defeat the villains in this entertaining musical take on a much-loved book. The cast of Emma Breton as the Farmer, Emma Carroll as Lily / Ladybird and Edward Way as Hefty Hugh were wonderfully musical. Benedict Hastings as Raymond / Lanky Len, with his Minion-like voice modulations and slapstick humour, was hilarious. We watched mesmerised as props were cleverly converted into a farmyard scene. The musical score was delightful, and we found ourselves humming a few ditties after the show had finished. It was an action packed 55-minutes of adventure, packed-full of original songs, live music, puppetry, plenty of audience participation and lots of laughs. And though J is 7 and I am much older, we both thought this was one of the most endearing theatre shows we had seen in a long time. What The Ladybird Heard Live is on stage at The Lowry, Salford Quays till Sunday 26 August. It is the perfect treat for families with children aged three and up and will add to memories you make this summer. Disclosure: We were guests of The Lowry for the purpose of this review. All opinions are my own. All images are courtesy The Lowry.